Fibre optic cables use glass threads (fibres) to transmit data. These fibres transmit the data by using modulated light waves. Fibre cables are popular because they have a much greater bandwidth than the standard copper networking cables. 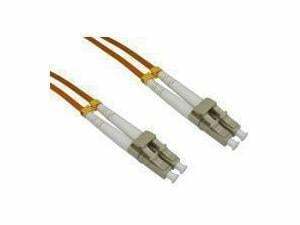 The cables have LC to LC connectors, orange low smoke zero halogen jacket and 50µm fibre core with 125µm cladding.